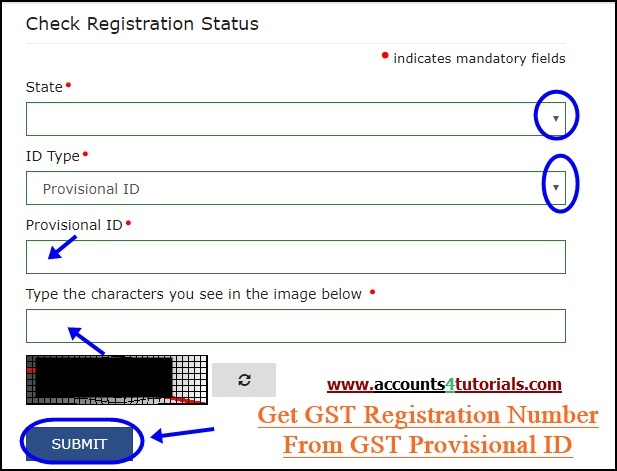 This tutorial help you, how to get GST Registration number from GST Provisional ID. You know your company/firm/ etc GST Provisional ID. but you dont know your company/firm/etc GST Regisration number. Dont worry you will get GST regisration number from your GST Provisional ID. Follow the below steps for get GST registration number from your GST Provisional ID. > Select ID type as "Provisional ID"
> Enter your 15 digits "GST Provisional ID"
> Now you can view your GST Registration Number.